"In this report, LP Information studies the present scenario (with the base year being 2017) and the growth prospects of global Online K-12 Education market for 2018-2023. K-12 (kindergarten through 12th grade) is the term commonly used for talking about a person’s first 13 years of schooling before entering university. It also refers to the Elementary and Secondary education. Elementary education starts at the age of five or six. Secondary education is for children aged 12 to 18. Secondary school generally takes place in a high school, which is often divided into junior and senior high. Junior high is for those aged 12 to 15 and senior high for students aged 15 to 18. Online education is quite different from the traditional concept of education, which involves a school building, a classroom with rows of desks, and a teacher standing next to a chalkboard. Online education offers students more one-on-one time with their instructors. And, most K-12 online programs are inexpensive or even tuition-free. The cumulative primary and secondary education process in the United States is known as K-12 education. To improve the educational outcomes, many school districts and states in the US are turning to online learning. With the new millennium, online learning at K-12 level has grown from an experiment to a movement. Different types of online education programs are being implemented in the US, such as state virtual schools, charter schools2, multidistrict programs, single district programs, programs run by universities, blended programs, private schools, and consortium based programs to name some of the most common program types. Following the developments in the United States, the availability and popularity of online education in Europe are on the rise. In Asia, online learning is already reaching many millions of learners. Several countries are putting their entire K-12 curriculum online. This is the region that has the highest growth rate for online learning in the world. At a country level, India has the highest growth rate followed by China and Malaysia. Over the next five years, LPI(LP Information) projects that Online K-12 Education will register a 28.7% CAGR in terms of revenue, reach US$ 305900 million by 2023, from US$ 67300 million in 2017. This report presents a comprehensive overview, market shares and growth opportunities of Online K-12 Education market by product type, application, key companies and key regions. 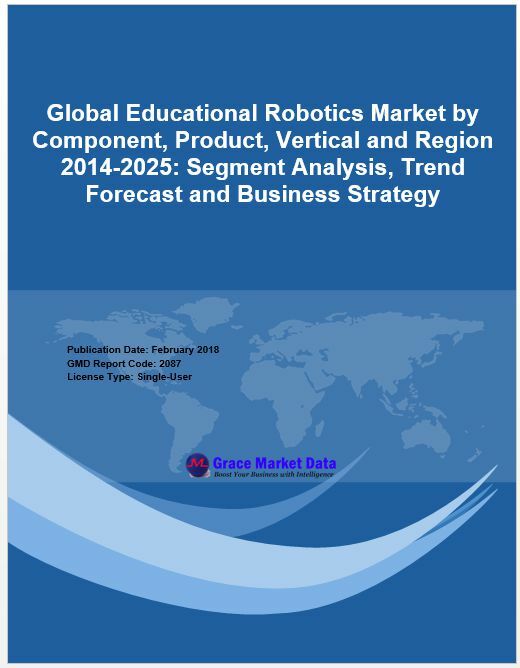 To study and analyze the global Online K-12 Education market size by key regions/countries, product type and application. To understand the structure of Online K-12 Education market by identifying its various subsegments. Focuses on the key global Online K-12 Education players, to define, describe and analyze the value, market share, market competition landscape, SWOT analysis and development plans in next few years. To analyze the Online K-12 Education with respect to individual growth trends, future prospects, and their contribution to the total market. To project the size of Online K-12 Education submarkets, with respect to key regions (along with their respective key countries).